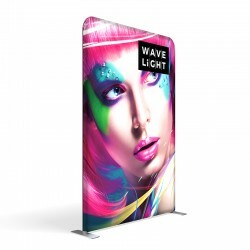 The NEW WaveLight® tension fabric display features bright LED backlighting and the thinnest profile of a backlit display in the marketplace. 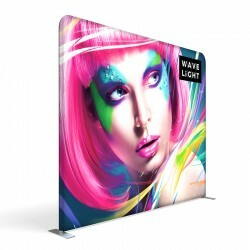 Vibrant wrinkle-resistant polyester tension fabric print stretches over the frame and zips closed. 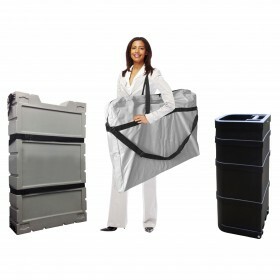 Lightweight to ship and easy to put together. 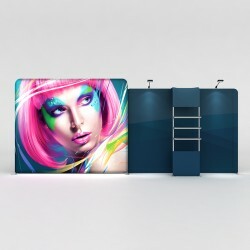 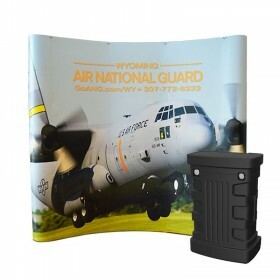 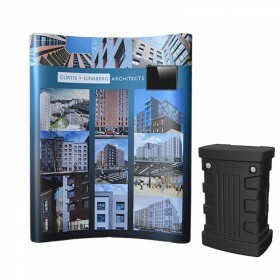 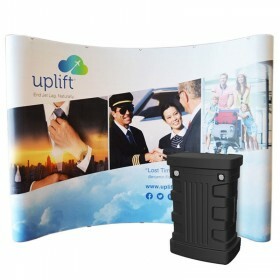 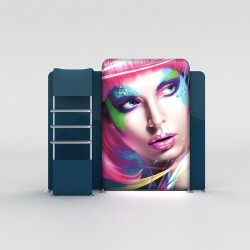 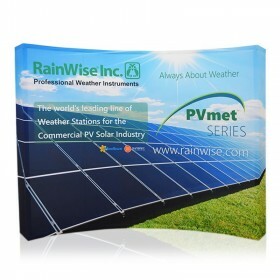 Backlit Tension fabric display includes Straight 1X3 collapsible anodized aluminum frame, premium stretch backlit print with total blockout backing fabric, LED light arrays w/ 400W power supply, nylon storage bag and CA900 hard shipping case w/ black wrap. 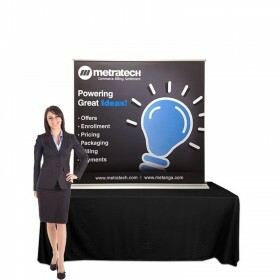 Set-up dimensions: 36.65"W x 95.98"H.
Backlit Tension fabric display includes Straight 2X3 collapsible anodized aluminum frame, premium stretch backlit print with total blockout backing fabric, LED light arrays w/ 400W power supply, nylon storage bag and CA900 hard shipping case w/ black wrap. 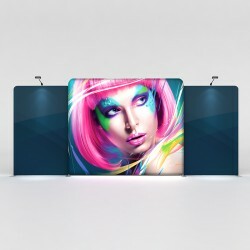 Set-up dimensions:62.21"W x 95.98"H.
Backlit Tension fabric display includes Straight 3X3 collapsible anodized aluminum frame, premium stretch backlit print with total blockout backing fabric, LED light arrays w/ 400W power supply, nylon storage bag and CA900 hard shipping case w/ black wrap. 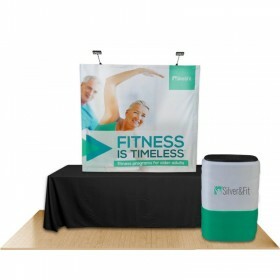 Set-up dimensions:87.32"W x 95.98"H.
Backlit Tension fabric display includes Straight 4X3 collapsible anodized aluminum frame, premium stretch backlit print with total blockout backing fabric, LED light arrays w/ 400W power supply, nylon storage bag and CA900 hard shipping case w/ black wrap. 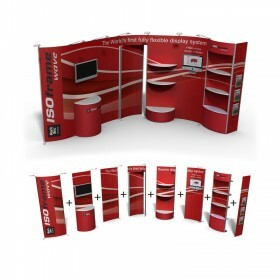 Set-up dimensions: 219”W x 96”H. Backlit Tension fabric display includes Straight 2X3 WaveLight® frame, premium stretch backlit print with blockout backing fabric, LED light arrays w/ 400W power supply, 10ft WaveLine® frame, stretch graphic print, nylon storage bags and CA900 hard shipping case w/ black wrap. 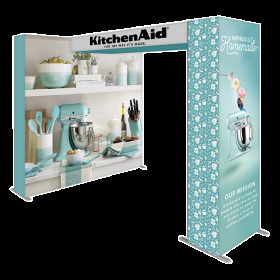 Set-up dimensions: 116”W x 96”H. 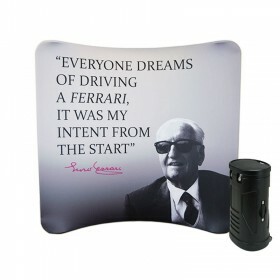 *Stem Lights not included. 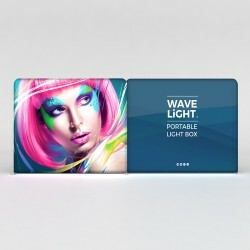 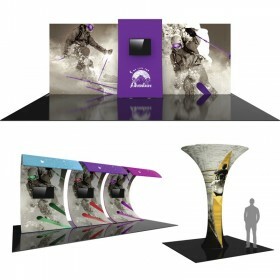 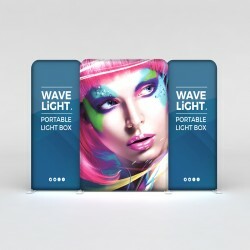 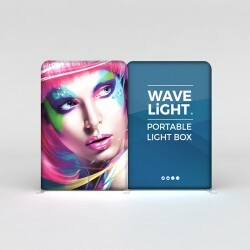 Backlit Tension fabric display includes Straight 2X3 WaveLight® frame, premium stretch backlit print with blockout backing fabric, LED light arrays w/ 400W power supply, 10ft WaveLine® frame, stretch graphic print, Waterfall shelf kit, nylon storage bags and CA900 hard shipping case w/ black wrap. 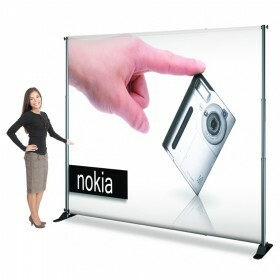 Set-up dimensions: 116”W x 96”H. 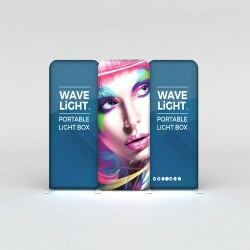 Backlit Tension fabric display includes Straight 4X3 WaveLight® frame, premium stretch backlit print with blockout backing fabric, LED light arrays w/ 400W power supply, (2) 5ft WaveLine® frame, stretch graphic print, (2) LED spotlights, nylon storage bags and (2) CA900 hard shipping case w/ black wrap. 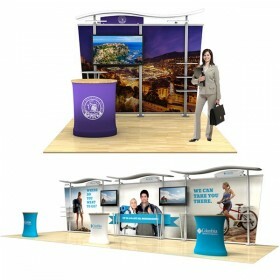 Set-up dimensions: 225”W x 96”H. 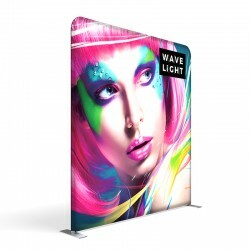 Backlit Tension fabric display includes Straight 4X3 WaveLight® frame, premium stretch backlit print with blockout backing fabric, LED light arrays w/ 400W power supply, 10ft WaveLine® frame, stretch graphic print, Waterfall shelf kit, (2) LED spotlights, nylon storage bags and (2) CA900 hard shipping case w/ black wrap. 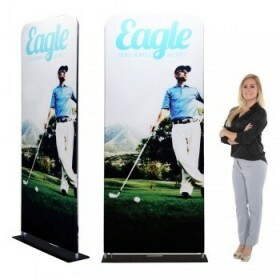 Set-up dimensions: 228”W x 96”H. 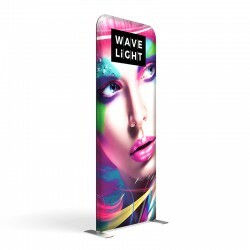 Backlit Tension fabric display includes (3) Straight 1X3 WaveLight® frame, premium stretch backlit print with blockout backing fabric, LED light arrays w/ 400W power supply, nylon storage bags and (2) CA900 hard shipping case w/ black wrap. 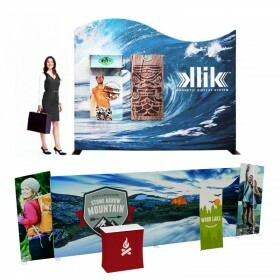 Set-up dimensions: 107”W x 96”H. Backlit Tension fabric display includes (2) Straight 2X3 WaveLight® frame, premium stretch backlit print with blockout backing fabric, LED light arrays w/ 400W power supply, nylon storage bags and (2) CA900 hard shipping case w/ black wrap. 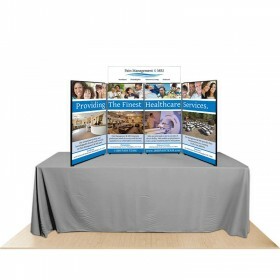 Set-up dimensions: 124”W x 96”H. 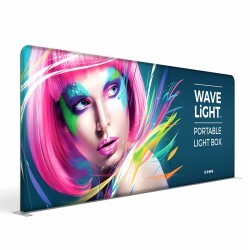 Backlit Tension fabric display includes (3) Straight WaveLight® frame, premium stretch backlit print with blockout backing fabric, LED light arrays w/ 400W power supply, nylon storage bags and (2) CA900 hard shipping case w/ black wrap. 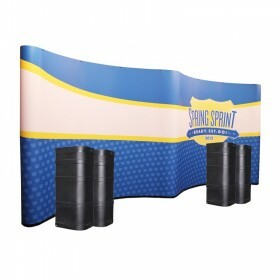 Set-up dimensions: 132”W x 96”H. 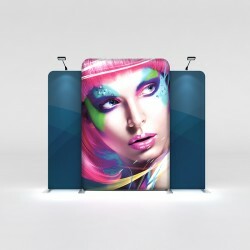 Backlit Tension fabric display includes (2) Straight 4X3 WaveLight® frame, premium stretch backlit print with blockout backing fabric, LED light arrays w/ 400W power supply, nylon storage bags and (2) CA900 hard shipping case w/ black wrap. 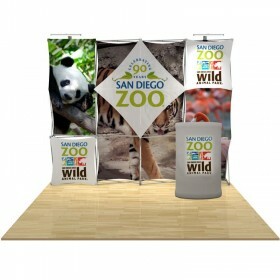 Set-up dimensions: 226”W x 96”H. 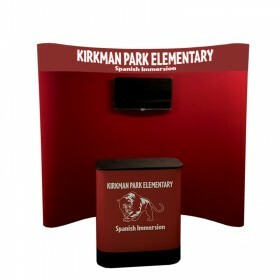 The new WaveLight® display features LED backlighting and the thinnest profile of a backlit display option in the exhibit marketplace. 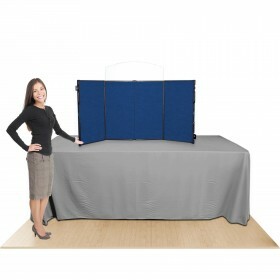 The snap-fit, bungee corded frame sections make for quick and easy setup every time. 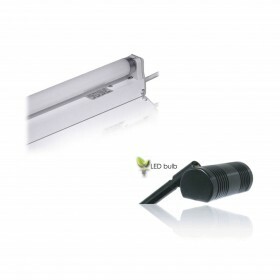 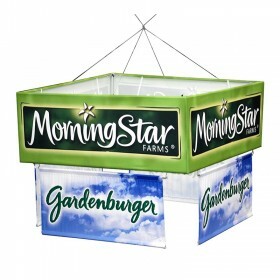 Once the frame is connected, LED lights quickly attach throughtout the frame to provide bright, even lighting. 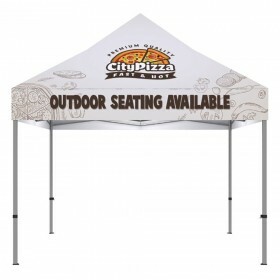 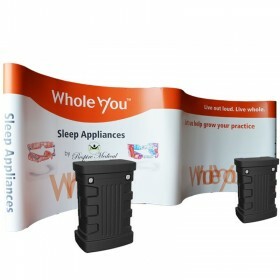 Your wrinkle-resistant tension fabric graphic simply slides over the aluminum frame with ease and zips closed to pull the fabric tightly around the frame. 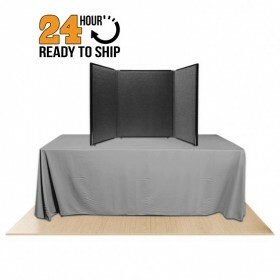 With the addition of the blockout fabric on the back, this insures the light will be diverted to your graphic fr maximum brightness. 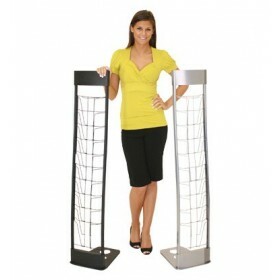 Zipper placement at the bottom of your graphic allows for cord management and access to the lights at anytime. 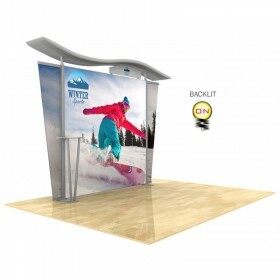 You'll be amazed at the simplicity of the WaveLight® display compared to other light box display in the marketplace. 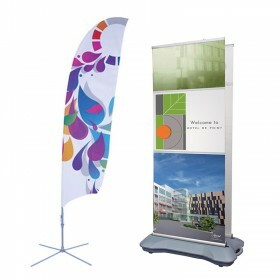 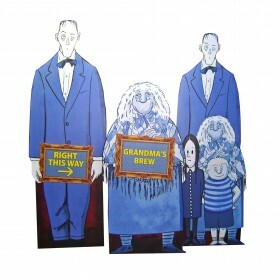 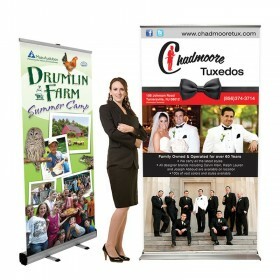 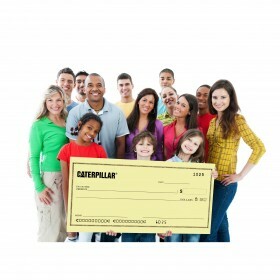 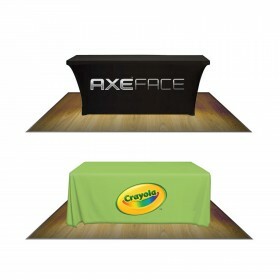 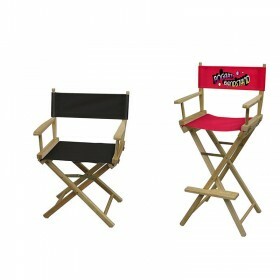 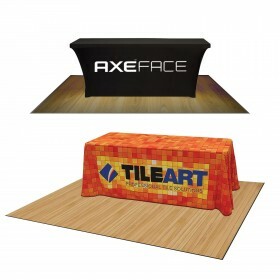 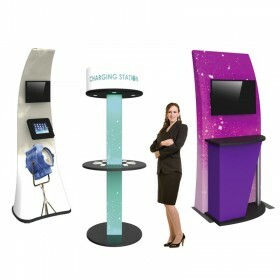 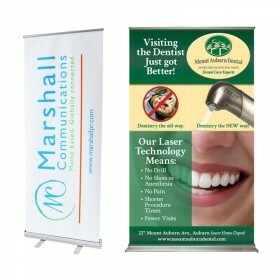 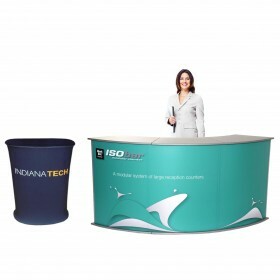 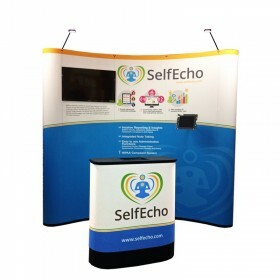 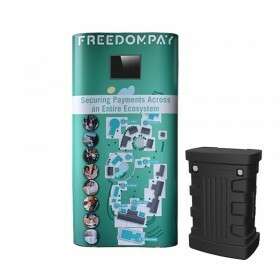 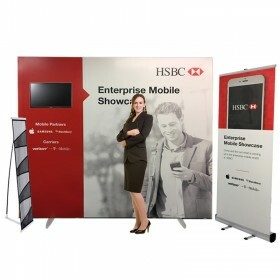 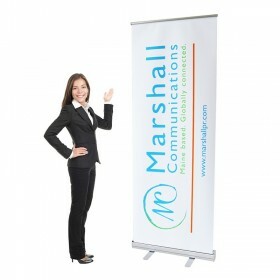 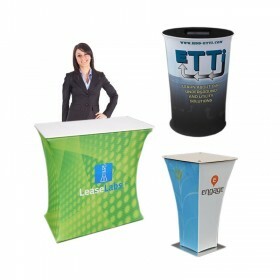 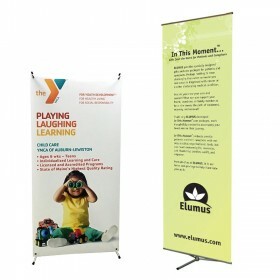 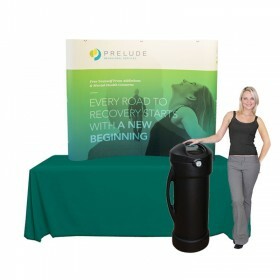 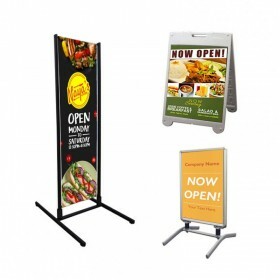 Great for any trade show or dimly lit conference hall.